You techno-optimists don’t understand how messy real-life projects are. You over-estimate the power of technology, and under-estimate factors such as sociology, psychology, economics, and biology – not to mention the cussed awkwardness of Murphy’s Law. That’s an example of the kind of retort that has frequently come to my ears in the last few years. I have a lot of sympathy for that retort. As well as making us stronger and smarter, new technology can help us become kinder, more collaborative, more patient, more empathetic, less parochial, and more aware of our cognitive biases and blindspots. But equally, I see lots of examples of technology failing to live up to the expectations of techno-optimists. It’s not just that technology is a two-edged sword, and can scar as well as salve. And it’s not just that technology is often mis-employed in search of a “techno-solution” when a piece of good old-fashioned common sense could result in a better approach. It’s that new technologies – whether ideas for new medical cures, new sustainable energy sources, improved AI algorithms, and so on – often take considerably longer than expected to create useful products. Moreover, these products often have weaker features or poorer quality than anticipated. The past 60 years have seen huge advances in many of the scientific, technological and managerial factors that should tend to raise the efficiency of commercial drug research and development (R&D). Yet the number of new drugs approved per billion US dollars spent on R&D has halved roughly every 9 years since 1950, falling around 80-fold in inflation-adjusted terms. 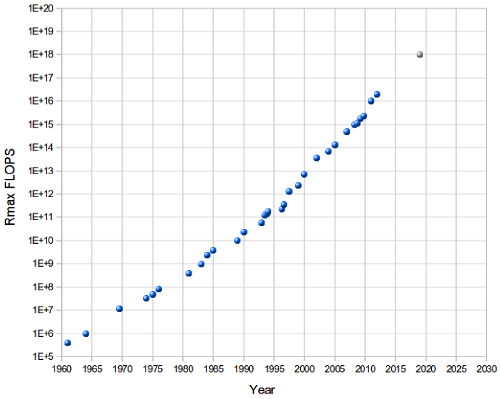 In other words, although the better-known Moore’s Law describes a relatively steady increase in computational power, Eroom’s Law describes a relatively steady decrease in the effectiveness of research and development within the pharmaceutical industry. By the way, Eroom isn’t a person: it’s Moore spelt backwards. But despite this dismal trend, I still see plenty of reason for measured optimism about the future of technology. That’s despite the messiness of real-world projects, out-dated regulatory and testing systems, perverse incentive schemes, institutional lethargy, and inadequate legacy platforms. This measured optimism comes to the surface in the later stages of the book I have just e-published, at the end of a two-year period of writing it. 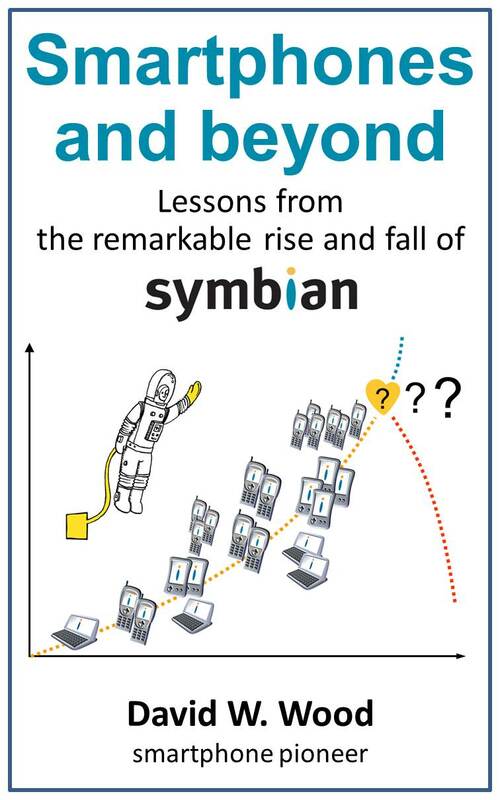 The book is entitled Smartphones and beyond: lessons from the remarkable rise and fall of Symbian. The story of the evolution of smartphones is fascinating in its own right – for its rich set of characters, and for its colourful set of triumphs and disasters. But the story has wider implications. Many important lessons can be drawn from careful review of the successes and, yes, the failures of the smartphone industry. When it comes to the development of modern technology, things are rarely as simple as they first appear. Some companies bring great products to the market, true. These companies are widely lauded. But the surface story of winners and losers can conceal many twists and turns of fortune. Behind an apparent sudden spurt of widespread popularity, there frequently lies a long gestation period. The eventual blaze of success was preceded by the faltering efforts of many pioneers who carved new paths into uncertain terrain. The steps and missteps of these near-forgotten pioneers laid the foundation for what was to follow. So it was for smartphones. It is likely to be the same with many of the other breakthrough technologies that have the potential to radically transform human experience in the decades ahead. They are experiencing their missteps too. I write this book as an ardent fan of the latent power of modern technology. I’ve seen smartphone technology playing vital roles in the positive transformation of human experience, all over the world. I expect other technologies to play even more radical roles in the near future – technologies such as wearable computing, 3D printing, synthetic biology, nanotechnology, neuro-enhancement, rejuvenation biotech, artificial intelligence, and next generation robotics. But, as with smartphones, there are likely to be many disappointments en route to eventual success. Indeed, even the “eventual success” cannot be taken for granted. General principles about the progress of complex technology emerge from reflecting on the details of actual examples. These details – the “warts and all”, to use the phrase attributed to Oliver Cromwell – can confound naive notions as to how complex technology should be developed and applied. As I’ll show from specific examples in the chapters ahead, the details show that failure and success often co-exist closely within the same project. A single project often contains multiple layers, belonging to numerous different chains of cause and effect. It is my sincere hope that an appreciation of real-world examples of these multiple layers of smartphone development projects will enable a better understanding of how to guide the future evolution of other forms of smart technology. I’ll describe what I call “the core smartphone skillset”, comprising excellence in the three dimensions of “platforms”, “marketing”, and “execution”. To my mind, these are the key enablers of complex technological progress. These enablers have a critical role to play for smartphones, and beyond. Put together well, these enablers can climb mountains. I see the core smartphone skillset as having strong applicability in wider technological areas. That skillset provides the basis for overcoming the various forms of inertia which are holding back the creation of important new solutions from emerging technologies. The existence of that skillset underlies my measured optimism in the future. But there’s nothing inevitable about how things will turn out. The future holds many potential scenarios, with varying degrees of upside and downside. The question of which scenarios will become actual, depends on inspired human vision, choice, action, and follow-through. Fortune sometimes hinges on the smallest of root causes. Effects can then cascade. Alongside the list of “greatest hits”, the book also contains a (considerably longer) list of “greatest misses”, “might-have-beens”, and alternative histories. The two lists are distilled from wide-ranging “warts and all” discussions in earlier chapters of the book, featuring many excerpts from my email and other personal archives. The bigger picture now is that other emerging technology sectors risk repeating the stumbles of the smartphone industry. Whereas the smartphone industry recovered from its early stumbles, these other industries might not be so fortunate. They may die before they get off the ground. Their potential benefits might remain forever out of grasp, or be sorely delayed. In that the pages of Smartphones and beyond, I do choose to highlight some specific learnings from particular episodes of smartphone success or smartphone failure. Some lessons deserve to be shouted out. For other episodes, I leave it to readers to reach their own conclusions. In yet other cases, frankly, it’s still not clear to me what lessons should be drawn. Writers who follow in my tracks will no doubt offer their own suggestions. For an extended series of extracts from the different chapters in Smartphones and beyond, see the official website for the book. The book is available for Kindle download from Amazon: UK site and International (US) site. I haven’t created a hard-copy print version. The book would need to be split into three parts to make it physically convenient. Far better, in my view, to be able to carry the book on a light electronic device, with “search” and “bookmark” facilities that very usefully augment the reading experience. Smartphones and beyond no doubt still contains a host of factual mistakes, errors in judgement, misattributions, personal biases, blind spots, and other shortcomings. All these faults are the responsibility of the author. To suggest changes, either in an updated edition of this book or in some other follow-up project, please get in touch. Finally, one other apology is due. As I’ve given my attention over the last few months to completing Smartphones and beyond, I’ve deprioritised many other tasks, and have kept colleagues from various important projects waiting for longer than they expected. I can’t promise that I’ll be able to pick up all these other pieces quickly again – that kind of overcommitment is one of the failure modes discussed throughout Smartphones and beyond. But I feel like I’m emerging for a new phase of activity – “Beyond ‘Smartphones and Beyond'”. To help transition to that new phase, I’ve moved my corporate Delta Wisdom website to a new format (WordPress), and rejigged what had become rather stale content. It’s time for profound change. The message is aligned with many that are included in my book “Smartphones and beyond” that was published earlier this week. Personally, I have no doubt as to the answer. Smartphones are for all. Smartphones – the rapidly emerging new category of advanced computer-based programmable mobile phones – will appeal to all users of mobile phones worldwide. Smartphones are built from highly advanced technology, but they won’t require a highly advanced understanding of technology in order to use them. You won’t need to be a computer whiz kid or the neighbourhood geek to get real value from a smartphone. Nor will you need a huge income to afford one. Smartphones will help us all to keep in better touch with the friends and colleagues and information and discussions and buzz that are important to us, and they are opening up new avenues for entertainment, education, and enterprise alike. Smartphones will help us all to work hard and play hard. And in line with their name, smartphones will also help us to work smart and play smart. Connect us into online information banks covering every topic under the sun. In short, smartphones are rapidly becoming our preferred mobile gateway into the ever growing, ever more important digital universe. In 1995, some people wondered if the Internet would ever really be “useful” (as opposed to a passing fad). Today, you may wonder if mobile access to the Internet will ever really be useful. But if you look at what smartphone users are already able to do, you’ll soon see the benefit. If it’s valuable to you to be able to access bbcnews.com or amazon.com or ebay.com or betfair.com or imdb.com or google.com or wikipedia.org (etc) from your desktop PC, you’ll often find it equally valuable to check these sites when you’re away from your desktop. Because you’ll be carrying your smartphone with you, almost everywhere you go, you’ll have the option to keep in touch with your digital universe, whenever it suits you. Crucial to this increase in value is the steady set of remarkable improvements that have taken place for both output and input mechanisms on smartphones. Screens have become clearer, larger, sharper, and more colourful. Intelligent handwriting recognition systems, word-completion systems, multi-way jog-dials, Bluetooth keyboards, and ingenious folding and twisting mechanisms, mean that it’s easier than ever before to enter data into smartphones. And faster networks, more powerful on-board processors, and more sophisticated software, mean that “www” on a smartphone no longer means “world wide wait” but rather “world wide wow“. Free-flowing: the success of a company in the smartphone industry is substantially determined by its skills with innovation, technology, marketing, and operations, rather than any restrictive contractual lock-ins or accidents of location or history. Bottlenecks and chokes that strangle or restrict innovation. Foreseeing the risks of a closed approach to smartphone development, the mobile phone industry came together to create Symbian, seven years ago. The name “Symbian” is derived from the biological term “symbiosis”, emphasising the positive aspects of collaboration. Symbian’s motto is “cooperate before competing”. It’s no surprise that the vast majority of today’s smartphones utilise Symbian OS. The volumes of smartphones in circulation are already large enough to trigger a tipping point – more and more industry players, across diverse fields, are choosing Symbian OS to deploy their new solutions. And at the same time as manufacturers are learning how to provide smartphone solutions ever more affordably, users are learning (and then sharing) surprising new ways they can take advantage of the inner capability and richness of their smartphones. It’s a powerful virtuous cycle. That’s the reason why each new generation of smartphone product has a wider appeal. Footnote (2014): The site http://www.symbian.com has long since been decommissioned, but some of its content can be retrieved from archive.org. After some sleuthing, I tracked down a copy of the above article here. It’s only six weeks, but in some ways, it feels like six months. That’s how much time has passed since I’ve used a Symbian phone. These six weeks separate me from nearly thirteen years of reliance on a long series of different Symbian phones. It was mid-1999 when prototype Ericsson R380 smartphones became stable enough for me to start using as my regular mobile phone. Since then, I’ve been carrying Symbian-powered smartphones with me at all times. That’s thirteen years of close interaction with various Symbian-powered devices from Nokia, Ericsson (subsequently Sony Ericsson), and Samsung – interspersed with shorter periods of using Symbian-powered devices from Panasonic, Siemens, Fujitsu, Sendo, Motorola, and LG. On occasion over these years, I experimented with devices running other operating systems, but my current Symbian device was never far away, and remained my primary personal communication device. These non-Symbian devices always left me feeling underwhelmed – too much functionality was missing, or was served up in what seemed sub-optimal ways, compared to what I had learned to expect. One particular Android device – the Samsung Galaxy Note – seemed to me to have the potential to define a disruptive new category of mobile usage, midway between normal smartphones and tablets, with its radically large (5.3″) screen, contained in a device still light enough and small enough to be easily portable in my shirt-top pocket. I was initially wary about text entry on the Galaxy Note. My previous encounters with Android devices had always left me frustrated when trying to enter data, without the benefits of a QWERTY keyboard (as on my long-favourite Nokia E6 range of devices), or fluid hand-writing recognition (as on the Sony Ericsson P800/P900/P910). But in the course of a single day, three separate people independently recommended me to look at the SwiftKey text entry add-on for Android. SwiftKey takes advantage of both context and personal history to predict what the user is likely to be typing into a given window on the device. See this BBC News interview and video for a good flavour of what SwiftKey provides. I installed it and have been using it non-stop ever since. With each passing day, I continue to enjoy using the Galaxy Note, and to benefit from the wide ecosystem of companies who create applications for Android. I’ve grown to appreciate the notification system, the ubiquitous “back” button, and the easy configurability of the device. Downloaded apps don’t always work as expected – perhaps reflecting the diversity of Android devices, something that developers often remark about, as a cause of extra difficulty in their work. Perhaps what’s most interesting to me is that I keep on enjoying using the device despite all these niggles. I reason to myself that no device is perfect, and that several of the issues I’ve experienced are problems of success rather than problems of failure. And I continue to take pleasure out of interacting with the device. However, Samsung’s success with the “phablet” form factor (5 million units sold in less than two months) has the potential to redraw the market landscape again. Just as the iPad has impacted people’s use of laptops (something I see every day in my own household), the Galaxy Note and other phablets have the potential to impact people’s use of iPads – and perhaps lots more besides. Footnote 1: The Galaxy Note is designed for use by an “S Pen Stylus”, as well as by finger. I’ve still to explore the benefits of this Stylus. Footnote 2: Although I no longer carry a Symbian smartphone with me, I’m still utterly reliant on my Psion Series 5mx PDA, which runs the EPOC Release 5 precursor to Symbian OS. I use it all the time as my primary Agenda, To-do list, and repository of numerous personal word documents and spreadsheets. It also wakens me up every morning. Footnote 3: If I put on some rosy-eyed glasses, I can see the Samsung Galaxy Note as the fulfilment of the design vision behind the original “UIQ” device family reference design (DFRD) from the early days at Symbian. UIQ was initially targeted (1997-1999, when it was still called “Quartz”) at devices having broadly the same size as today’s Galaxy Note. The idea received lots of ridicule – “who’s going to buy a device as big as that?” – so UIQ morphed into “slim UIQ” that instead targeted devices like the Sony Ericsson P800 mentioned above. Like many a great design vision, UIQ can perhaps be described as “years ahead of its time”. There’s big league money in smartphones. In 2009, around 173 million smartphones were sold worldwide. IDC predicts this figure will jump to nearly 270 million in 2010. According to Informa, that represents about 27% of the total mobile phone unit sales in 2010. But as Informa also point out, it represents around 55% of total market value (because of their high average selling price), and a whopping 64% of the mobile phone market’s profits. As well as big money from sales of smartphones themselves, there’s big money in sales of applications for smartphones. A recent report from Research2Guidance evaluates the global smartphone application market as being worth $2.2 (£1.4) billion during the first half of 2010, already surpassing the total value of $1.7 (£1.1) billion for all 12 months of 2009. What’s next? If there’s so much money in the rapidly evolving smartphone market, where will the underlying wave of associated technological and commercial innovation strike next? Answer that question correctly, and you might have a chance to benefit big time. Burgeoning word-of-mouth recommendations, as people tell each other about compelling mobile services that they come across. Perhaps one day soon, more than 50% of all mobile phones will be built using smartphone technology. Nexus One is an exemplar of what’s possible on mobile devices through Android — when cool apps meet a fast, bright and connected computer that fits in your pocket. The Nexus One belongs in the emerging class of devices which we call “superphones”. It’s the first in what we expect to be a series of products which we will bring to market with our operator and hardware partners and sell through our online store. Smartphones and superphones share some common characteristics – always on connectivity, ability to make phone calls and send SMS/MMS, access the internet and install third party software apps. But the ways these devices are used are very different – as different as iPads/tablets are different from laptops/netbooks. The first answer, above, is that smartphones are going to become significantly more numerous. The second answer is that smartphones are going to become significantly more powerful. I believe both these answers. These answers are both easy to understand. But there’s a third answer, which is just as true as the first two – and perhaps even more significant. Smartphone technology is going to become more and more widely used inside numerous types of devices that don’t look like smartphones. These devices aren’t just larger than smartphones (like superphones). They are different from smartphones, in all kinds of way. The new wave of embedded software is when smartphone technology is used inside devices that do not look like smartphones. For want of a better term, we can call these devices “subphones”: the underlying phone functionality is submerged (or embedded). Numerous sensors, including location, direction, motion, and vision. Mobile medical equipment – including ever smaller, ever smarter “micro-bots”. Soon there will be 1 trillion connected devices in the world. A smarter planet will require a smarter communications infrastructure. When things communicate, systems connect. And when systems connect, the world gets smarter. This will be an era where M2M (machine to machine) wireless communications far exceed communications directly involving humans. We’ll be living, not just in a sea of smart devices, but inside an “Internet of Things”. Smartphone technologies bring many opportunities – but these opportunities are, themselves, embedded in a network of risks and issues. Many great mobile phone companies failed to survive the transition to smartphones. In turn, some great smartphone companies are struggling to survive the transition to superphones. It’s the same with subphones – they’re harder than they look. They’re going to need new mindsets to fully capitalise on them. Agility – to respond rapidly to user feedback and marketplace learnings. The advance of software renders some problems simpler than before. Next generation tools automate a great deal of what was previously complex and daunting. However, as software is joined together in novel ways with technologies from different fields, unexpected new problems spring up, often at new boundaries. For example, the different kinds of subphones are likely to have unexpected interactions with each other, resulting in rough edges with social and business aspects as much as technological ones. So whilst there are many fascinating opportunities in the world beyond smartphones, these opportunities deserve to be approached with care. Choose your partners and supporters wisely, as you contemplate these opportunities! Footnote 1: For some vivid graphics illustrating the point that companies who excel in one era of mobile technology (eg traditional mobile phones) sometimes fail to retain their profit leadership position in a subsequent era (eg superphones), see this analysis by Asymco. It wasn’t Google that invented the term “superphone”. Nokia’s N95 was the first phone to be widely called a superphone – from around 2006. See eg here and here. In my own past life, I toyed from time to time with the phrase “super smart phone” – eg in my keynote address to the 2008 Mobile 2.0 event in San Francisco. MeeGo Conference – in Dublin, Nov 13-15. In each case, I’ll be part of the Accenture Embedded Software Services presence. My recent article “Choosing intermediate mobile platforms” appeared on the same day as the TechCrunch article by Rich Wong, “In Mobile, Fragmentation is Forever. Deal With It“. Despite the different titles, the articles covered many of the same topics. Rich and I were fellow jury members at the Emerging Startups Mobile Premier Awards in Barcelona last month. The discussions of the jury room ought to be kept confidential, but I’m not revealing too many secrets if I say that the topic of de-fragmentation magic bullets came up during our deliberations. So it’s no coincidence that we both have something to say on the topic! Even though I’ve written about mobile fragmentation many times in the past, Rich’s article has spurred me to put pen to paper one more time. Mainly I agree with what he says, though there are a few additional points that deserve to be stressed. Mobile data is on fire. Despite a few false starts, we are now in the midst of a transformative “Open Mobile 3rd Wave” … We are just in the early swell of the wave … thanks to continued improvements we’re now seeing in smart phones, mobile OS platforms and 3G/4G networks, the raw ingredients are just getting better every month. Don’t wait. There’s an incredible startup and wealth-creating opportunity in this new arena of Open Mobile. The smartest entrepreneurs will not wait for these fragmentation issues to be solved but are figuring out now how to pick a use case, a core platform, and geography to bound their problem and get going. Once you have initial momentum, you can pick through these fragmentation landmines, and make a 2nd and 3rd step. Don’t wait for the unifying technology to solve these issues before diving in. It’s going to be an exciting time to build great mobile companies this next 5-7 years. It’s true: there won’t, in the foreseeable future, be a single platform that all developers can use to solve all their mobile needs. However, platforms and tools are appearing which can address all the mobile needs of some developers. I tried to give some examples of these potential solutions in my previous article. I’m far from being an expert in any of these systems, so I risk being completely wrong in my assessment. However, it does appear that at least some of these emerging solutions can remove a significant part of the technical pain from a developer who wants to deploy a particular kind of solution across a wide range of mobile devices. Depending on the kind of application the developer has in mind, a different intermediate platform may be needed. So, no single magic bullet. But there are plenty of smart solutions that deserve a hearing. Before trying to roll their own mobile solutions, developers should, therefore, take a look at what’s already available. One of the worst myths floating around the blogosphere is the wait by some for a “unifying technology” that will make things “simpler and easier” to develop services and apps for the global mobile market. At times, some have claimed that Java (J2ME) was the answer, then Flash Lite, then Webkit browsers, and most recently HTML5 . While each solution has its merits, there will not be any unification anytime soon. Even as HTML5 richness has improved substantially, browser support will still vary and many, many phones will not support HTML5 for 7+ years. In other words, even if new devices contain a powerful new intermediate platform (such as HTML5), this will leave the vast majority of existing phones in the cold. However, this dynamic can change, to the extent that new platforms can be installed on existing phones. When the user now installs yourapp_installer.sis on their phone, the Smart Installer will go on-line and get all the dependencies that your Qt application requires, typically Qt and QtWebkit + Open C. If these packages are already installed on the phone, the Smart Installer does nothing. 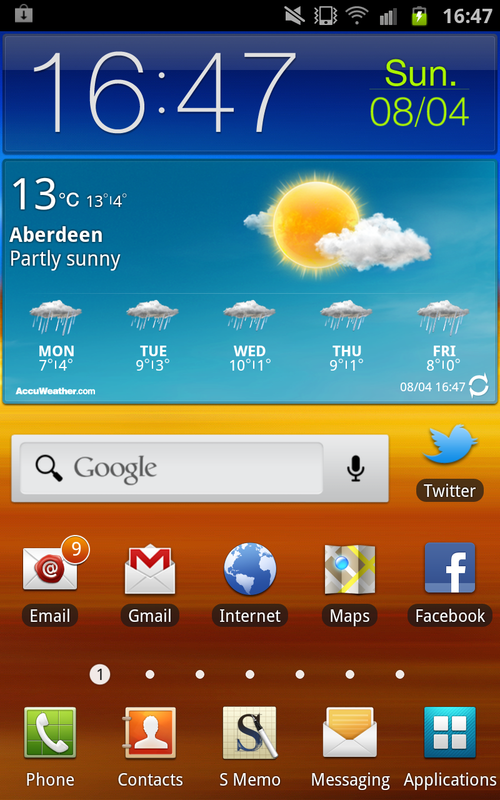 So, it is a little bit like an “apt-get for Symbian” has been wrapped around your application. In other words, the Qt environment will be automatically installed onto the phone, if it’s not already present. Be difficult to install on simpler phones (the above “smart installer” depends on the Symbian software installation system being present on the phone). However, we can see these points as challenges rather than dead ends. And it’s handy that there are a considerable number of intermediate platforms under development, adopting different approaches. It’s reasonable to expect that at least some of these platforms will find ways to reach out successfully to older devices. It’s true that developers need to make progress in the existing, heavily fragmented mobile world, without waiting for the fragmentation to be solved. However, this doesn’t mean the mobile industry should stop worrying about the drawbacks of excess fragmentation. The effort that people have to put in to bridge different fragments of the mobile world is effort that would be better placed providing direct benefits to users. For example, suppose that a developer puts 40 units of effort into the platform-independent logic of an application, and then another 30 units of effort for each adaptation of the application to a different mobile operating system platform. To cover six different mobile platforms would require a total of 220 units of effort. Imagine, instead, that the developer could use an intermediate platform that would cover all these operating systems. Suppose in this case that the adaptation to the single intermediate platform consumes 30 units of effort (on top of the 40 units for the platform-independent logic), and then the developer prefers to add a little polish for each of the different operating systems. If the intermediate platform is doing its job well, this final polish ought be require something like just 5 units of effort each time. That makes a total of 100 units of effort. The net saving of 120 units of effort can then be applied to developing v2 of the application, or to some other quite different project, rather than wrestling with different mobile operating systems. So whilst we advise developers that their approach to fragmentation should be to “Cope with it”, we should be vigorously campaiging at the same time for rapid progress towards meaningful standardisation of fit-for-purpose intermediate platforms. Performance – especially battery usage. This includes coping with applications that want to run in background (potentially draining batteries). Functionality – so that the intermediate platform provides access to the really interesting parts of the functionality of the mobile device and the mobile networks. Security – to avoid applications wreaking havoc with user data (especially when these applications have accesss to advanced functionality of the device and network). Device reconfiguration – to cope with the fact that the “one box” design of most smartphones today is going to be replaced by “multi-component” designs over the next 3-7 years, with new roles for detachable screens (and more). Business models – to ensure that there are enough ways for applications to be economically viable (rather than just technically viable). Speed of standardisation – so that the big picture of “a rising tide lifts all boats” prevails, rather than the process becoming bogged down in smaller scale turf wars and filibustering. A number of the world’s leading telecommunications operators and device manufacturers are launching an open global alliance, that will establish a simple route to market for developers and provide access to the latest and widest range of innovative applications and services to as many customers as possible worldwide. Together, we have signed a memorandum of understanding with the aim of building an environment or ’wholesale applications community’ where innovative applications can be developed irrespective of device or technology. The new alliance, which represents more than three billion customers worldwide is inviting players from across the ICT industry, not only operators and developers, but also handset manufacturers and internet players to join forces to create an initiative based on openness and transparency. We believe this model presents the most compelling format on the market where developers will thrive and customers will reap the benefits of greater choice. The mobile industry doesn’t have a great track record for working together quickly in this way. However, more people than ever before in the industry are aware of the likely price of failure. Over the last few months, one thing I’ve noticed is the increasing number of companies who are offering mobile intermediate platforms and tools, that are designed to hide differences between underlying mobile operating systems. For example, I heard about several new ones (that is, new for me) during Mobile World Congress at Barcelona. I’d like to mention some of these companies. But first, here’s some context. People who want to develop applications (or provide content or services) for mobile devices face two levels of decision about platform choice. The first decision is: what should developers do about the fact that different mobile devices run many different mobile operating systems (such as Symbian, BlackBerry, iPhone, Android, Palm webOS, LiMo, Maemo, Series 40, Bada, Windows Mobile…)? Prioritise one operating system platform above all others, and attempt to become an expert in that? Try to become experts in all the major operating system platforms (including different UI families and other platform sub-variants)? Rely on third party experts who can deliver “mobile applications as a service” across a wide range of relevant operating systems? 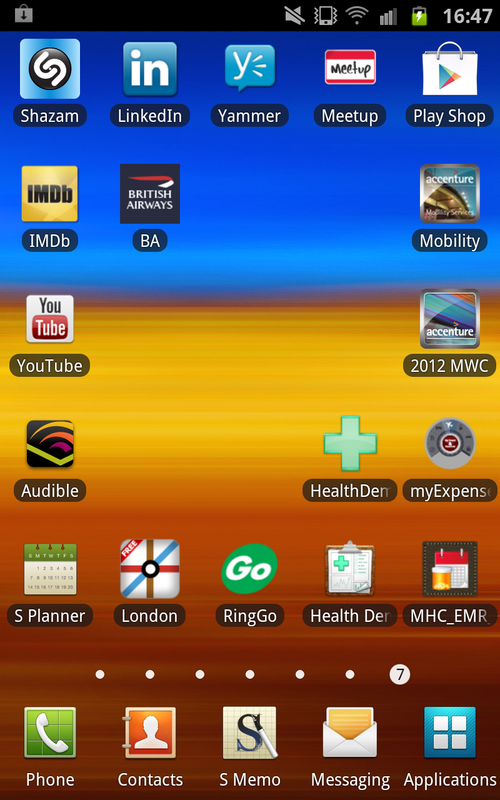 Try to find an intermediate platform and/or tool, that will hide the differences in underlying mobile operating system? The first of these approaches has the merit of simplicity, but cuts off large numbers of devices. The second of these approaches is particularly hard to achieve: it requires wide-ranging knowledge. The third is what I advocated in an earlier blog post, “A strategy for mobile app development“: it involves building a relationship with an external company which maintains up-to-date knowledge about changing mobile operating systems. The fourth is a variation on the third. Rather than rely on paying a third party to use their own systems to develop apps for each different platform, it relies on finding an intermediate platform and/or tool, to achieve the same end. That takes me to the second decision about platform choice: what should developers do about the fact that there are so many different intermediate platforms available? But, thankfully, in another way, this decision is easier. That’s because there may well be more than one “right answer”. Depending on the type of applications being developed, various different intermediate platforms are well-suited to distributing the application acrosss a wide range of mobile devices. I’m not expecting a consolidation, any time soon, down to just a few intermediate mobile platforms. Developers’ needs are too varied for that. But I am expecting at least some of these platforms to become better and better, as their owners respond smartly to the evolving needs of the growing number of developers who want to bring applications to ever larger numbers of mobile devices. Here are just four of these platforms which have caught my eye recently. As I said, different platforms are appropriate for different kinds of developer needs. JumpStart Wireless has a solution for enterprises that want to improve how they interact with their mobile workforce. A special feature of this solution is that no “programming” in a traditional sense is required: no C/C++, no Java, no HTML. Instead, I heard the solution described as “you fill in a spreadsheet” giving details of an existing paper-based system that you’d like to replace by a version that runs on mobile devices – a paper-based system for work orders, time cards, daily reports, punch lists, inspections, sales orders, and so on. The architect and founder of JumpStart Wireless, Dr. Jeffrey Bonar, observed many similarities between systems used by different companies, and captured the similarities in the engine that lies at the heart of the JumpStart Wireless BusinessSuite platform. The platform generates versions of the application that can run on a wide variety of different mobile devices. Driving to pickup/drop-off paperwork, filling out paperwork and excessive phone calls. Chasing down missing paperwork, correcting errors and dealing with illegible paperwork. Dealing with backlogs of completed work waiting to be closed out and billed. Leveraging JumpStart Wireless’s patent pending artificial intelligence technology, your customized wireless applications are one tenth the price of conventional approaches to wireless software. JumpStart Wireless applications work on normal, off-the-shelf cell phones and BlackBerrys. The MoSync Mobile Development SDK takes a different approach. It provides access to a wide range of underlying device functionality, via a C/C++ SDK. As such, it requires a greater degree of software skill from the developer, and in principle can enable a rich variety of different kinds of application. MoSync were one of the finalists in the Mobile Premier Awards at Barcelona, where I had the chance to meet a couple of their founding team. Today’s mobile device market is more fragmented than ever. New platforms are introduced every year. Dozens of new devices arrive from manufacturers every month. Sometimes it can seem that writing your application is the easy part: the real headache is tailoring it for all those different platforms and devices, and trying to keep up with the ever-changing marketplace. We think that mobile application development is hard enough without having to worry about porting issues. That’s why we’ve created MoSync — a truly open-source solution for today’s fragmented mobile market. MoSync’s fully-featured software development kit helps you develop anything from simple programs for basic mobile phones to advanced applications that exploit the full potential of the latest intelligent smart phones and mobile devices. or the use of virtual machine runtimes that need to be installed on the target devices. The Airplay platform from Ideaworks Labs has particular strengths for high-performance rich-media mobile applications – including graphically-intense mobile games. Airplay is a native mobile application development and deployment solution that overcomes many of the major problems faced by developers and publishers of mobile games today. The Airplay SDK comprises a set of powerful and extensible tools and technologies within a framework of processes and workflow best practices. This combination of technology and know-how delivers massive cost savings during both development and deployment and enables a much faster time to market. This solution is the unique result of a 7-year symbiotic relationship between Ideaworks Labs and Ideaworks Game Studio divisions, and it is through building many of the most innovative mobile games in the world that our solution has been fine-tuned and thoroughly battle-tested. Single Binary: Airplay combines the platform-specific execution environment implementation with a single binary for each game or application. The key advantage of this is there is no need to embed software on the handset, no dependence on manufacturing supply chain, or individual manufacturer or operator deals. Open Platforms: All applications built using Airplay run on all “open” platforms, such as Symbian, BREW, Windows Mobile, Linux, and can be embedded on “closed” platforms, such as RTOS. OpenKODE compliant: Ideaworks Labs was co-spec lead in Khronos on OpenKODE Core API, committed to standards-based portability of native applications. 509inc have a solution which may appeal to developers who already have a web service, which they want to connect to mobile devices in such a way that it takes advantage of mobile device features such as location. 5o9 EZMobile software enables enterprise-level Mobile SaaS by delivering contextual data to your Web Apps. It provides a cost-effective alternative to cross-platform mobile application development. Now you can extend your existing Web services to mobile users by leveraging the power of the Web. Your Web apps can access real-time who, what and where data about your mobile users, letting you personalize services via customized menu-based navigation. Standardize delivery, via the browser, across multiple mobile platforms. You determine the data you need. You control your data security and privacy policies. You choose the appropriate level of personalization for your mobile employees, customers and partners. Last year I mentioned how 5o9 had developed a solution that allowed BlackBerry and Windows Mobile device location to be made available to web sites. Since then, things have progressed and they now offer a range of multi-platform tools for mobile developers. 5o9 told me that their view of the future is that for mobile to really take off the web has to know the end-user better. This means that web browsers need better access to phone features. The 5o9 solution is a simple mobile application that can share critical meta data (without the need to type it in) with any web app in the world. It works by extending the HTTP protocol with new customizable HTTP_X headers…. Some people think that the future of mobile is the web. Until such time, technologies such as those offered by 5o9 can be used to bridge the gap. Above, I’ve provided brief details of four attractive intermediate mobile platforms, but there are probably at least five times as many more that could be added to this list (I apologise for the highly selective nature of my list). And that’s without covering the better known intermediate platforms such as Qt, Java, HTML5, Adobe Flash/AIR, and Microsoft Silverlight. It would take a long time to fairly compare and evaluate all serious players in this space. Mobile development is still generally seen as unnecessarily difficult.